Prestigious and enigmatic work in the ranks of the FSB attracts a significant number of young people. However many stops the unknown. Where to go, whom to call, whom to talk to if you have no connections in government? See the statement in territorial body of the security at the place of residence. In addition to statements about the desire to enter the service in state security bodies the candidate must have with you: passport (or other identity document); duly certified copies of labor books, certificates of completion of education (at least secondary), marriage certificate and children's birth as well as the original questionnaire of the candidate entering military service under the contract, curriculum vitae (in any form), photographs and, more importantly, personal reference a person who is on service in bodies of FSB. Imagine the documents necessary for receipt on military service under the contract. Namely: military ID, birth certificate, a copy financially-the personal account of the tenant, the excerpt from the book on the family citizen, as well as data on income and assets. Wait for the decision of the public security organs. Statements by civilians is considered within one month, if you are a reservist, then within 15 days. After that, the information you provide will be verified within three months. Engage in physical training. 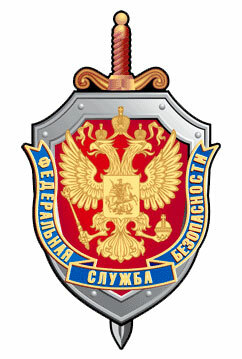 Service in the ranks of the FSB involves not only analytical but also operational tasks. So, the candidate should understand that his physical form must be on high level. A candidate for service should be tightened no less than 10 times to run 5 km on the slopes, for no longer than 28 minutes. Among the disciplines of athletics: running 100 m – no longer to 14.4 seconds; run 1 km – no longer than 4 minutes, 25 seconds and is 3 km not more than 12 minutes, 35 seconds. Soberly assess their capabilities. An official at the public security organs should be the model of courage and valor. So do not be surprised that income on service in the ranks of the FSB such high requirements. If you fail to get on service in FSB, do not despair, because there are many other ways to work for the good of our country.